Sign up for Broadjam today to follow Steve Vansak and the Joe Roberts Band, and be notified when they upload new stuff or update their news! 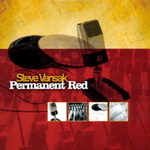 Singer/songwriter/guitarist Steve Vansak was born and raised in Gary, Indiana, home of steel mills and the Jackson 5. Sandwiched between Chicago and miles of farmland, Vansak experienced many different lifestyles and musical styles. A veteran of the Midwest music scene, his bands have run the gamut from R&B, top-40 pop, folk, Motown Soul, and rock. All of these influences and more affect his latest release, A Different Road. The ten track CD features the rock sounds of "Rocks and Bone" and "Mountain of Pain" to the street soul of "Peace with the Night". Vansak is ably backed by the Joe Roberts Band (Bill Hayden - piano & organ, Mike Sluga - drums, Aaron Yakovetz - bass), who keep pace with the musical diversity. Housed in a beautifully packaged digipak, with an 8 page lyric booklet, the album is high quality in sight and sound. If you enjoy Tom Petty, U2, Ryan Adams, Pete Yorn, David Gray, then give this CD a try.